A heartwarming lesson from one of our Zulu Pastors in South Africa. A great grandson of King Bothelesi of the Zulu, who are mostly Christians because the King accepted Christ, told me an amazing story of a young Zulu man. He had received a gift of Christian books from a missionary about to come back to America. As the Zulu read books of Kenneth Hagin, E.W.Kenyon, Oral Roberts and T.L. Osborn, his heart flooded with faith. 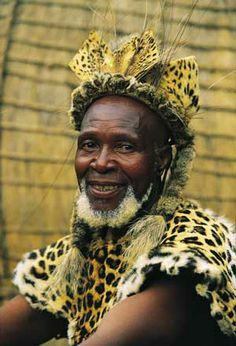 He visited his village elder and asked permission to travel all over Zulu-land and preach these amazing faith sermons. It was a simple old family Bible, very heavy, but a good Zulu honors his elders and so he faithfully carried the heavy book with him. When he got up to preach with all the passion of a great evangelist. He preached from the sermons of the American evangelists. After 9 years, he realized he had failed as an evangelist. Hungry, barefoot, and ragged he trudged home with his head held down. He had even sold all his evangelist books to have pennies to eat on. As he returned to his village, his only possession was the heavy Bible in the zebra skin pouch. His plan was to return it to his village elder but discovered that alas, he had died of great age in the years he was gone. He was young no more himself, yet he sat down and wept for the elder, the ministry and more than anything, he wept because of his failure as an evangelist. He had great visions but it was gone. He sat for days outside the elder’s kraal and finally remembering his elder’s advice. “Whenever you get in trouble, you’re hungry, or have needs… LOOK IN THE BOOK.” There was nothing else to read, so he opened the first page and a 100 Rand note (about $120.00) fell out. As he began to turn the pages of the Bible he found 100 Rand notes in every chapter. 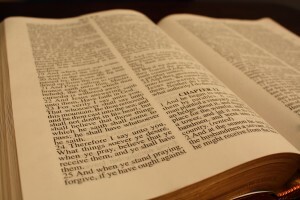 He had been carrying around nearly two hundred thousand dollars in the old Bible. All he needed to do was look in the book. The Zulu sat and cried for hours. Turning the pages of the Bible, there were scriptures circled with small handwritten notes that said things like, “Preach this when you are lonely.” Or “Preach this when you need God to provide.” Each circled scripture had a 100 Rand note in the chapter. It was the old family Bible that had seen many years and many miles, worn and tattered with those scriptures circled and notes in the margin. Look in the book for yourself and make your own notes, and when you get in trouble… LOOK IN THE BOOK. In this world power, prestige, fame and money are most respected. Those who achieve “money, power, success” as the rappers sing, are often glorified with fame. When we come into the Kingdom of God, the focus of all our efforts is changed by the very nature of Jesus Christ. We were “getters” and now we become “givers”. Jesus had the power to give. Wealth, power and success have never been represented by the power to get. The poorest man on the street spends his entire day in the pursuit of getting, acquiring and holding on to what he must have to survive. Prosperity has never been demonstrated by the desire to take. Wealth is only demonstrated by the power to give. Have we thought of Jesus’ Words without understanding what He meant? “It is more blessed to give than receive.” If you have the power to give, it is because you have already been blessed, therefore you are more blessed if you have the power to give. We demonstrate prosperity by giving. It has been proven that those with the least in terms of money and possessions are often the most generous in sharing what little they have. It is also a proven fact of life, these humble people are also the happiest. Those who rise from humble beginnings to become fabulously wealthy beyond their dreams, feel the need to “give back”. They feel they “owe” it to help others coming up behind them. They are “blessed to give”. All giving is not money. When you serve God humbly and faithfully, God Himself will honor you! 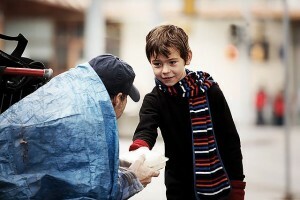 While we so often think of giving in terms of dollars and cents, giving is also finding a need and trying to fill it. Even if it is only sharing a word of kindness with sincerity. We never know how far a kind word will go or how much it will help someone carrying a heavy load. Doing something positive toward another person is a good approach to feeling good about yourself. And if you consider the needy, you are blessed of God. 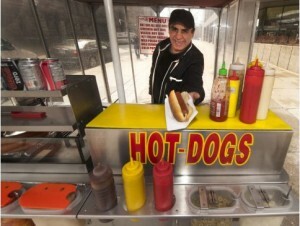 This is Not a Hotdog Stand! Psalm 37:7 commands us to “Rest in the Lord and wait patiently for Him.” But we live in such a fast paced world that waiting for anything is difficult especially if while we are waiting, there is pain involved, or mental stress and worry. Our nature is to be impatient. That is probably why the “drive through” food places are so popular. Drive up to the talking box and order, then by the time you pay and drive to the next window, we expect the food to be bagged up and the drinks in a carrier. We’ve all seen angry people who had to wait just a fraction of a minute too long for their order. God instructs us to be patient in all things… with family, friends and work associates. We must also learn to be patient when we “wait on God” for answers. Imagine how patient God is with us while He is unfolding His plan for us. Welcome to the all new Deeper Life Ministries website! We’ve made all kinds of amazing improvements and best of all, our website is now mobile friendly! In this section, Pastor Ross Collette will be sharing some inspirational and insightful messages. So please check back as often as possible for more updates!